You notice the changes? If not, you’re BLIND! 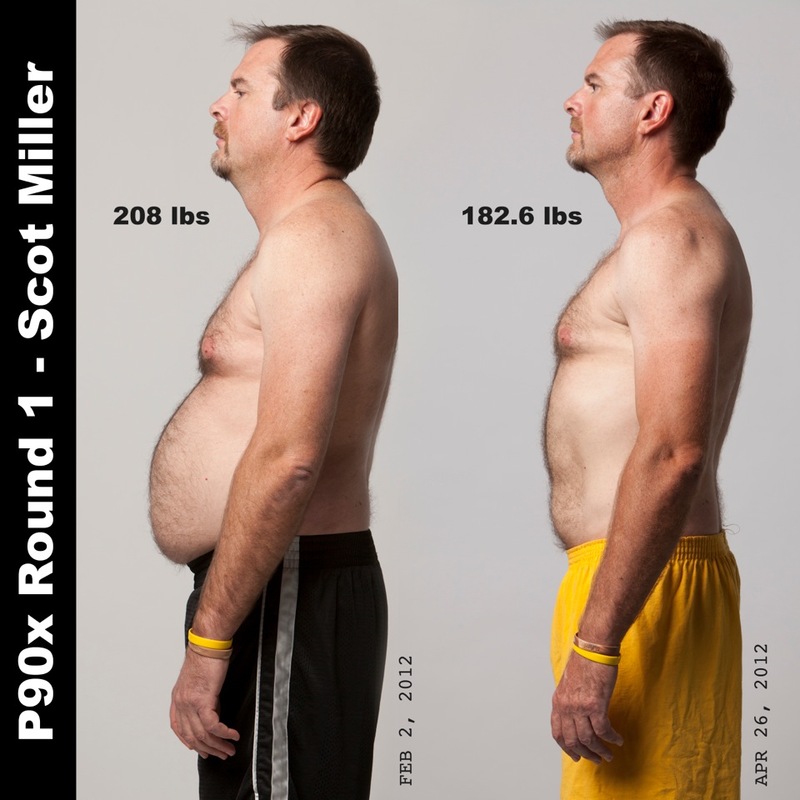 :-) Scot DESTROYED P90X and rid himself of the belly! WAY TO GO Scot! Congrats on your results buddy! Scot and I exchanged a few emails, and here is his response to one of my emails. “It was hard, no doubt. I can honestly say that I gave close to 100% effort every day. I knew it was going to be hard….extremely hard, but had no intention of cheating myself. I wanted results……visual results, and I think I achieved that. I had gotten lethargic and lazy and needed to make a change. Fast food had become a daily occurrence. I used to cycle (road bikes) alot and had gotten too heavy to be able to keep up with my friends on our rides…..so I quit riding for a year. I was bummed! A friend, who is 5′-6″ and weighed 280 lbs., wanted to lose weight as well so we bought the P90X program……and have worked out together every day, even recruiting different friends to work out with us from time to time. He has lost 36lbs. himself. I feel great now and intend on losing 10-15 more lbs. I am back to my old self on the bike and kicking my friend’s asses now. :) They all agree I am stronger on the bike due to the P90X……and I totally agree. My legs are stronger and my stamina is back to where it used to be. I am even contemplating a half marathon next year…..and I HATE to run, but I feel light on my feet and may just give it a go. My goal this go round is ABS………and just a tighter, leaner, ripped bod. Wish me luck! Scot is a TRUE inspiration and a great example of what happens when you really commit yourself to the program. He is now going to live a much longer, happier, & healthier life as a result. If he can do it…So can you. If I can do it…So can you. If the hundreds of thousands of others out there who have gone through P90X can do it…So can you. All you’ve got to do, is decide, commit, and JUST DO IT! By the way, I’m coming to the end of Month 2 of my P90X P90X2 Hybrid and I’m LOVIN it! :-) More updates on that coming soon!